Looking for great Book Resources for kids? These are our favourite sites for avid readers, and to inspire and encourage reluctant bookworms. If you know of any book resources that we have missed, do let us know and we will add them to the list! You can also browse our articles on Books on Jump! Mag. This site is a wonderful storytelling community for both readers and reluctant writers. With over 5 million stories, Storybird curates artists’ images from all over the world, and members can use them as inspiration for creating their own stories. Not a writer? Don’t worry. You can just read to your heart’s content! Choose the kinds of stories you’d like to read and follow your favourite writers. What’s more, people of any age can join, so you can write with your friends, your family, or your school. Follow @storybird on Twitter. 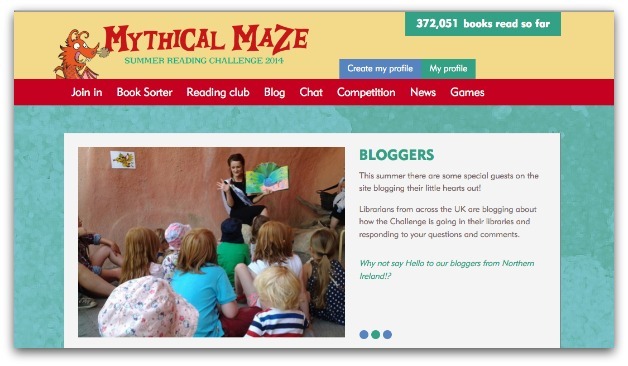 The site of the UK’s oldest children’s book awards. Find out all about the ones that have won the prizes, watch videos with authors and illustrators talking about their books, post your own drawings online and ask authors questions. You can even join or set up a shadowing group and post your own reviews! Follow @cilipckg on Twitter. Want to read articles about books, listen to author podcasts or become a young critic? 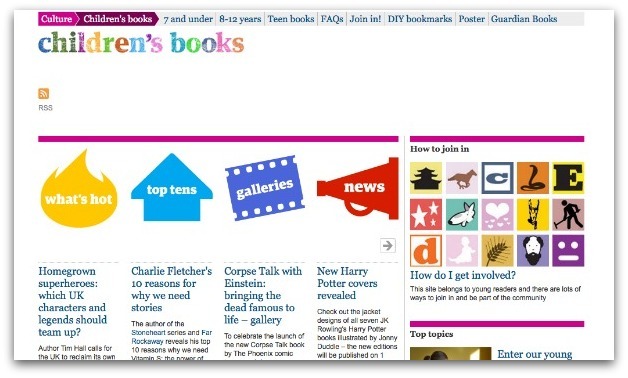 The Guardian Children’s Books site, ‘by kids, for kids’, could be the one for you. Join up and get discussing with your fellow young book lovers. Follow @GdnChildrensBks on Twitter. 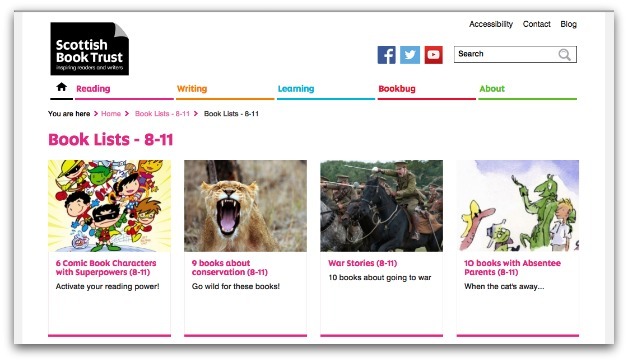 Chatterbooks is for children who love books, whether reading or writing them. 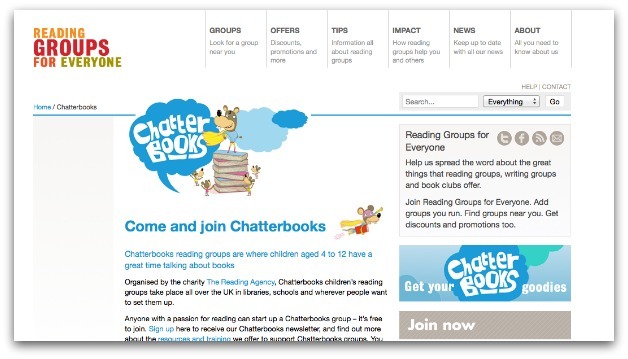 Keep up to date with what’s going on in the world of reading, download fun activity packs, and search for your nearest Chatterbooks group. Follow @readingagency on Twitter. 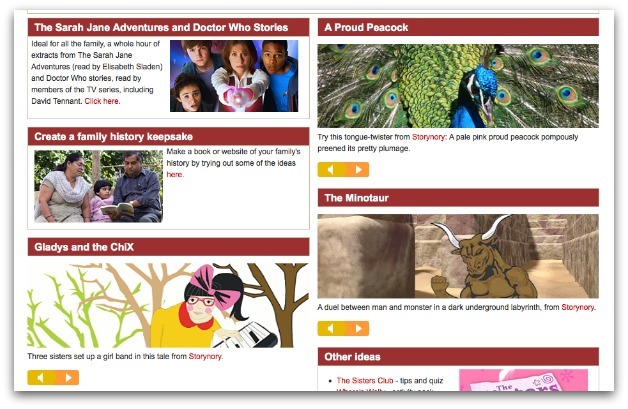 One for the whole family, this site lets kids and parents browse together. With recommended reads, songs and rhymes, author interviews and games based on comic books, there’s sure to be something for everyone. You can even narrow it down by age, to make sure you get to the stuff you want. Like Words For Life’s Facebook page. 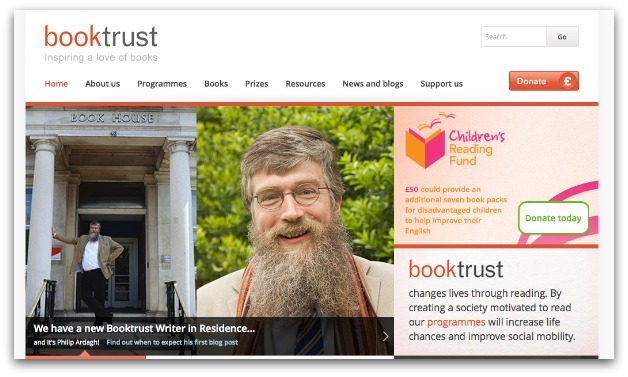 The Booktrust aims to ‘inspire a love of books’, and with all its information on stories, prizes, short story competitions you can enter and the tons of programmes they have set up for readers of all ages, they are sure to do so. A fantastic site, it also features blog posts every Monday from beloved author Philip Ardagh. You can read his first post here. Follow @booktrust on Twitter. This site focuses particularly on – you guessed it! 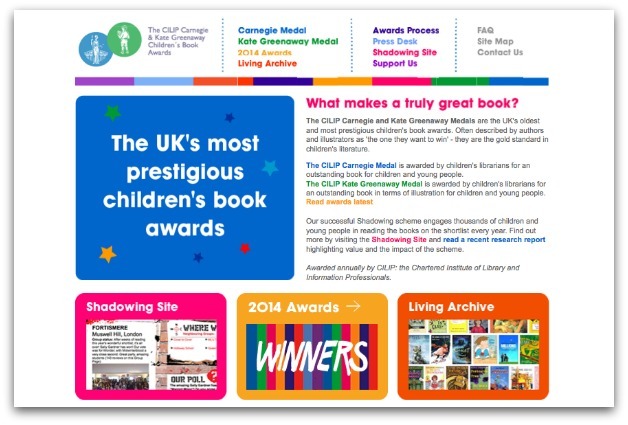 – reading in Scotland, but is a great source of inspiration for children, young adults, parents and teachers everywhere. We love the book list section (shown in the picture), where you can find books on any topic you want to read about, whether it’s poetry, science or ‘nasty teachers’. Follow @scottishbktrust on Twitter. Don’t know what to read next? LoveReading is great for helping you choose something. 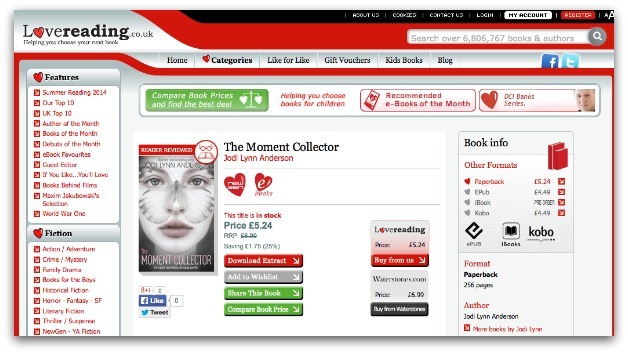 You can browse by subject, use the fantastic ‘If You Like…You’ll Love’ feature, or see what other readers are enjoying. The ‘New Gen’ section is especially for young adults and teens, and has everything from laugh-out-loud beach reads, steamy paranormal romances, mesmerising thrillers and compelling dystopian tales”. 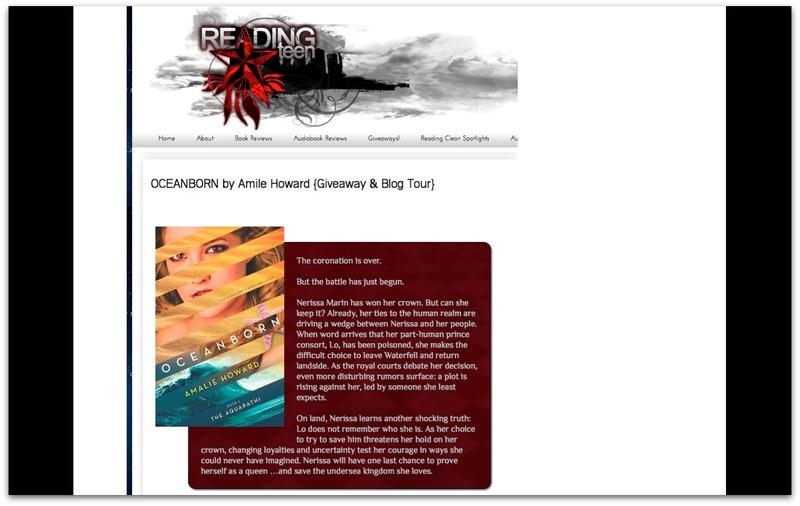 It’s also worth checking out ‘Undercover Reads’ for free extracts from novels you might like. Follow @lovereadinguk on Twitter. This blog is written by a woman called Nicki, who describes herself as a ‘voracious’ and ‘eclectic’ reader. It has reviews of all the books she has read since 2006, including YA fiction (though also has adult books). One of the best parts of the site is the ‘Books Blogs Search’ where you can hunt down all the reading blogs your heart desires. 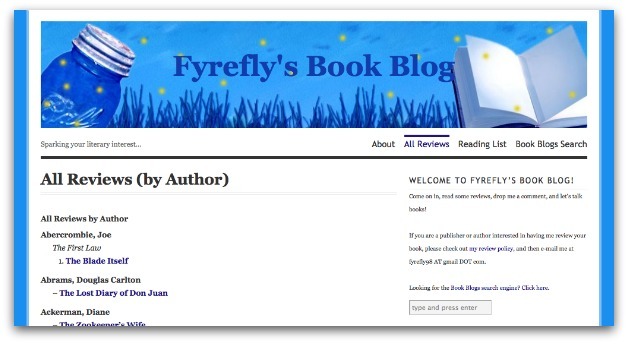 Follow @fyrefly98 on Twitter. Another one for young adults and teens, this site reviews all sorts of books, including audiobooks and ‘clean reads’, which have less adult content. While you’re on the site, check out the section called ‘Wicked Bookcraft’, which features artwork and installations made of books, photos and newspaper articles! Follow @readingteen on Twitter. This fantastic site compiles all things book-related, including a virtual bookshelf and beautiful original artwork. 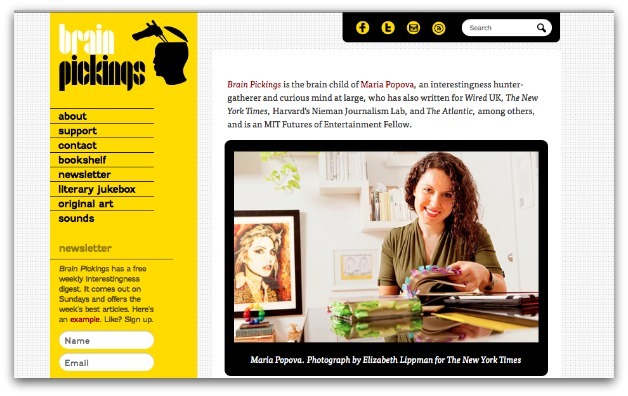 Maria Popova, who describes herself as an “interestingness hunter-gatherer” (which we think is a BRILLIANT phrase), also has a side project called ‘Literary Jukebox’, which matches famous book quotes with an appropriate song. Follow @brainpickings on Twitter. Which book sites do you like? Let us know of any great sites that we have missed!